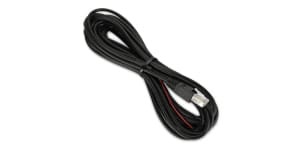 The APC NetBotz Dry Contact Cable (NBES0304)enables you to connect a single dry contact-based sensor to your NetBotz appliance. With this cable you can now use many standard dry contact-based sensors (such as motion detectors, moisture detectors, or glass-break detectors) as external NetBotz sensors. This cable can only be used with appliances that have a sensor port.